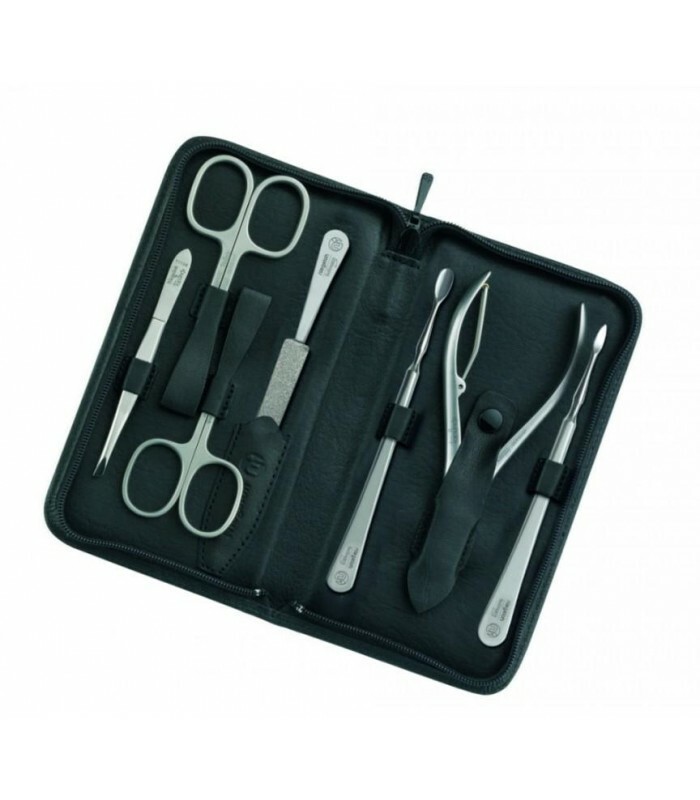 Manicure pedicure set Nevada, black, 7pcs. 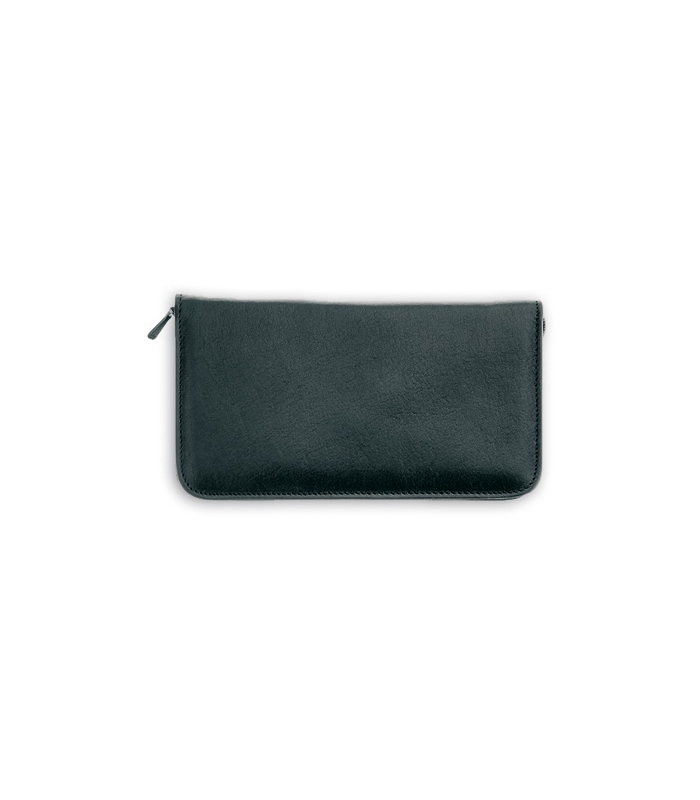 Cultured, sophisticated and handsome, Nevada is dedicated to the "Cosmopolitan Man". 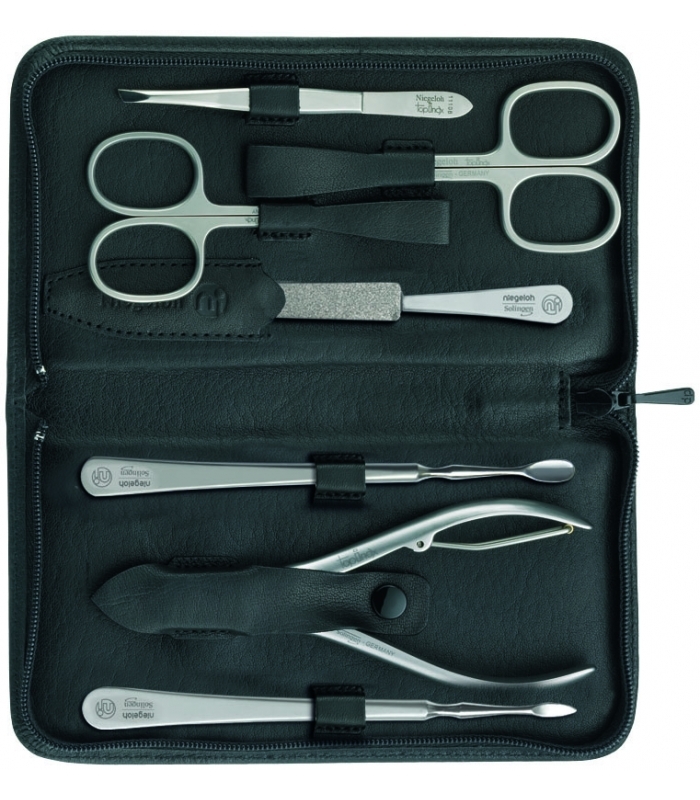 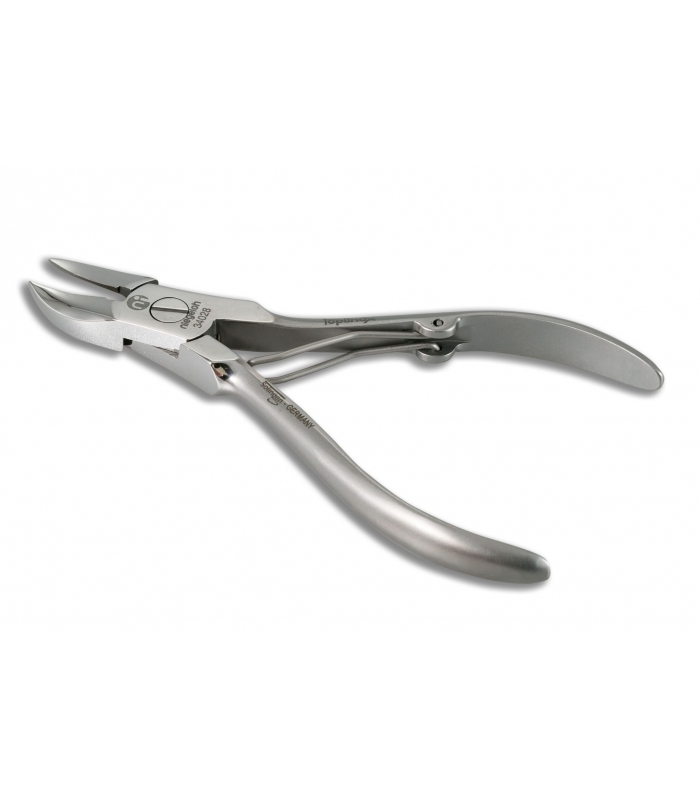 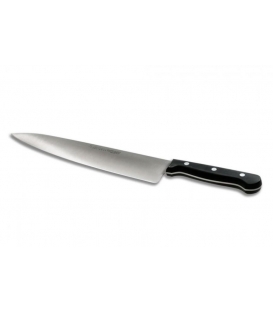 Nevada's well-crafted black soft full grain leather manicure sets have several combinations of high quality Topinox rust-free, stainless steel implements with a satin finish. 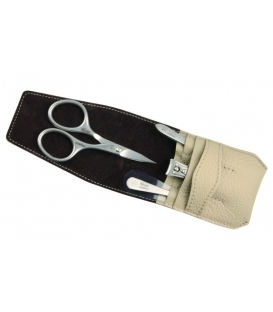 Carefully selected materials along with skilled workmanship are exactly what a man living on top of the world needs. 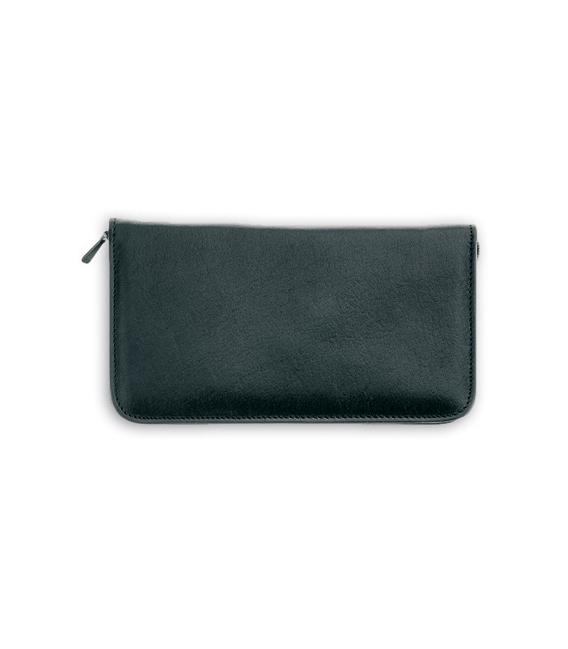 The hightest quality of durable cowhide. 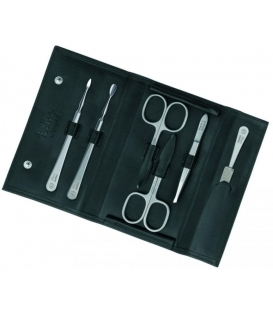 Manicure set Kroko, black, 5pcs. 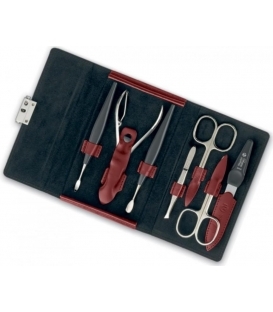 Manicure pedicure set Kroko, red, 10pcs. Manicure pedicure set Kroko, black, 10pcs. 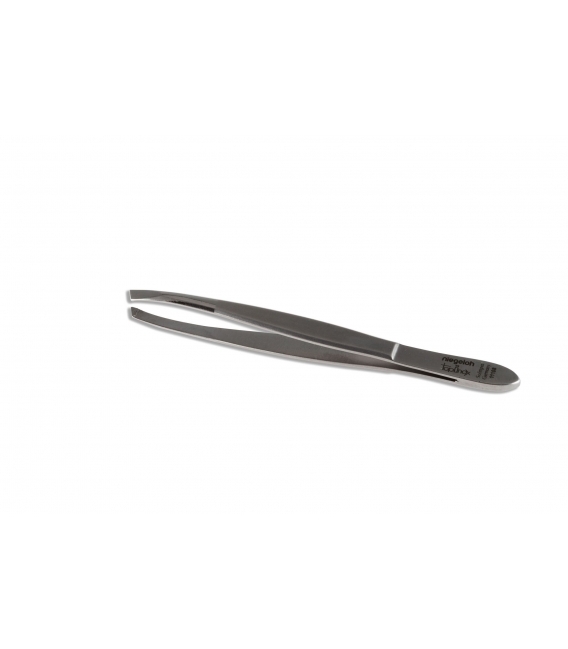 Nail Set Imantado XS, black, 2pcs. 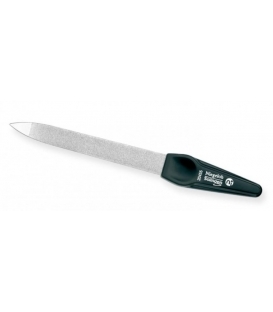 Nail Set Imantado S, black, 2 pcs. 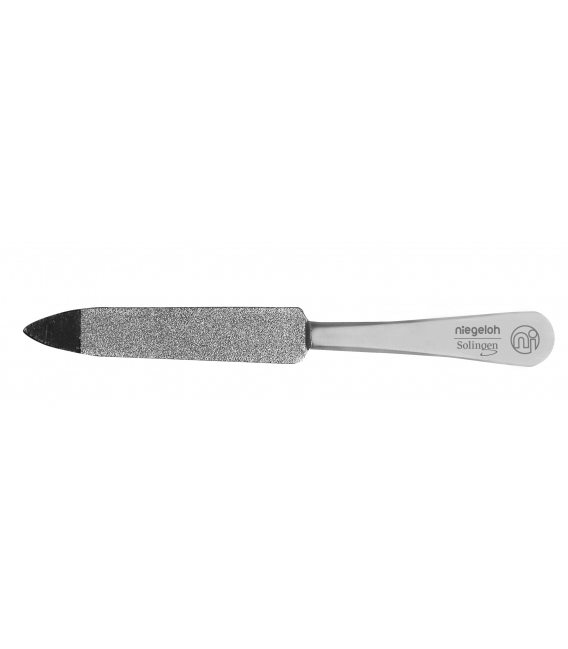 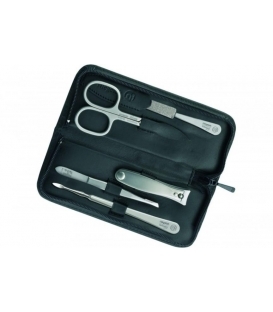 Manicure set Imantado, black, 4pcs. 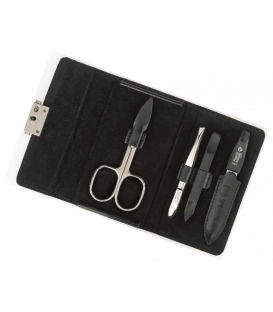 Manicure pedicure set Imantado, Zip, black, 6pcs. 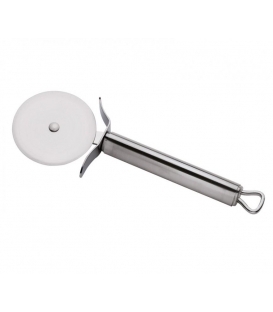 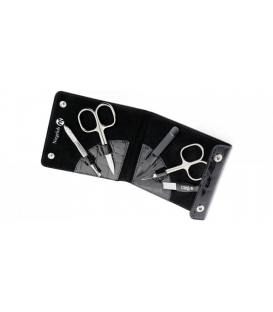 Manicure set Diabolo, black, 4pcs. 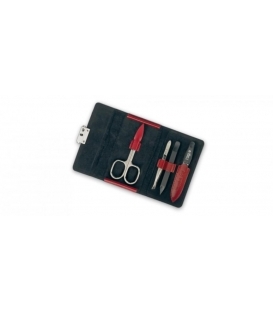 Manicure set Diabolo, red, 5pcs. 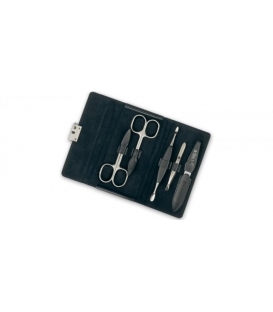 Manicure set Diabolo, black, 5pcs. 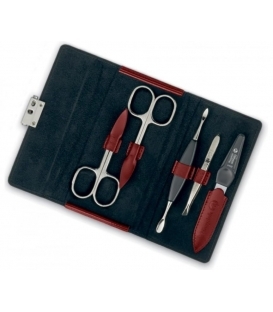 Manicure pedicure set Diabolo, red, 7pcs. 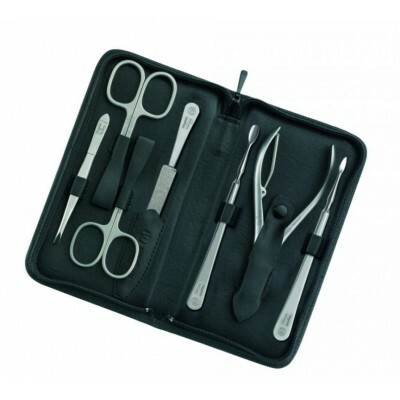 Manicure set Nevada, black, 6pcs. 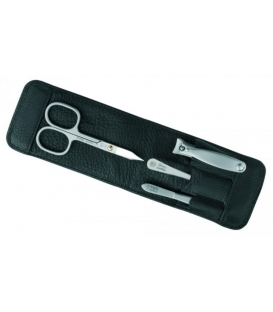 Manicure set Nevada, Zip L, black, 5pcs. 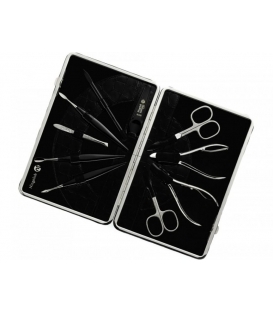 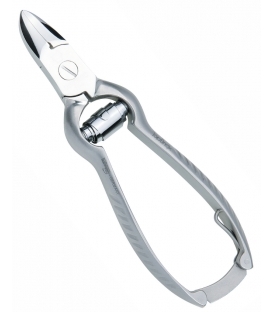 Manicure set Nevada, Zip M, black, 5pcs. 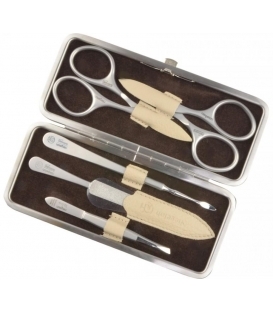 Manicure set Cafe do Brazil, macchiato, 4pcs. Manicure set Cafe do Brazil, macchiato, 5pcs. 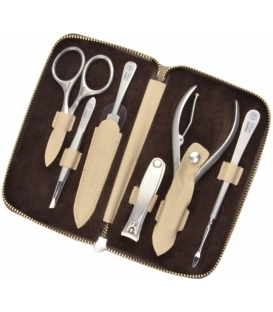 Manicure pedicure set Cafe do Brazil, macchiato, 6pcs. 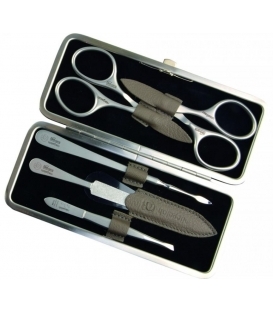 Manicure set Cafe do Brazil, lungo, 4pcs. 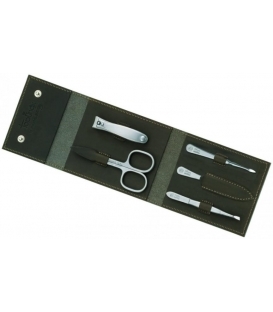 Manicure set Cafe do Brazil, lungo, 5pcs. 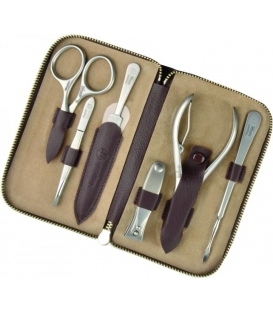 Manicure pedicure set Cafe do Brazil, lungo, 6pcs. Manicure set Cafe do Brazil, ristretto, 4pcs. Manicure set Cafe do Brazil, ristretto, 5pcs. 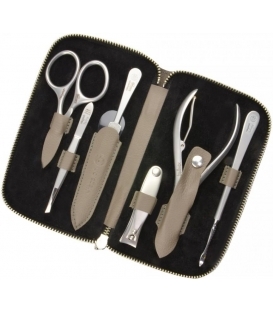 Manicure pedicure set Cafe do Brazil, ristrettro, 6pcs. 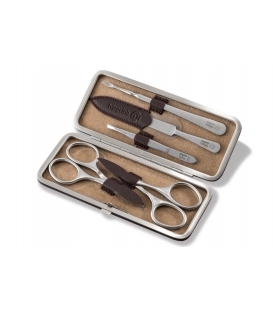 Manicure set Havanna, tabac, 4pcs. 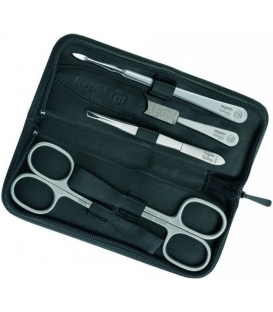 Manicure set Havanna, tabac S, 5pcs. 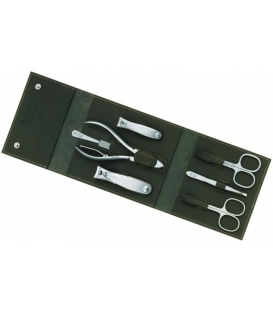 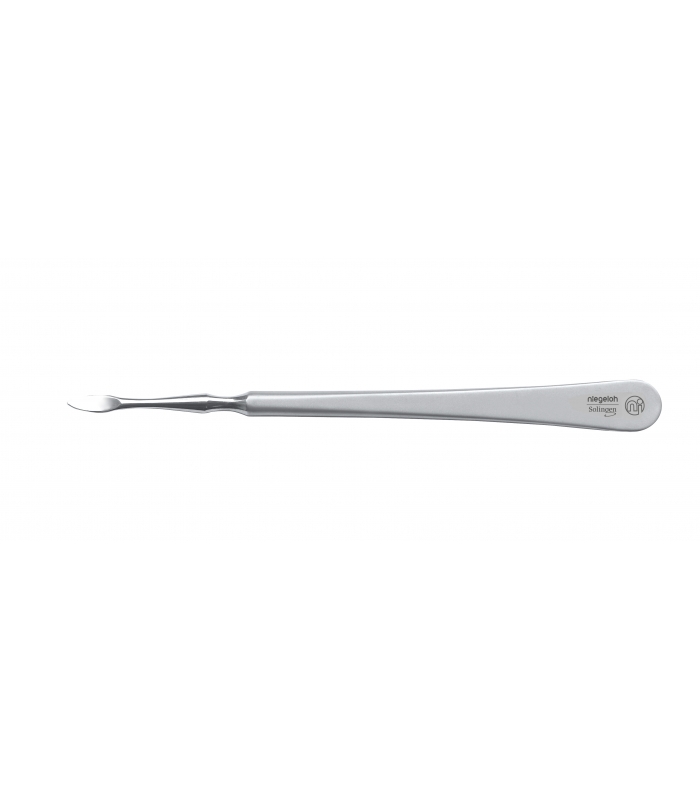 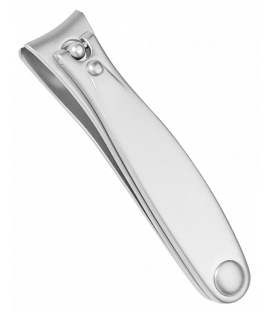 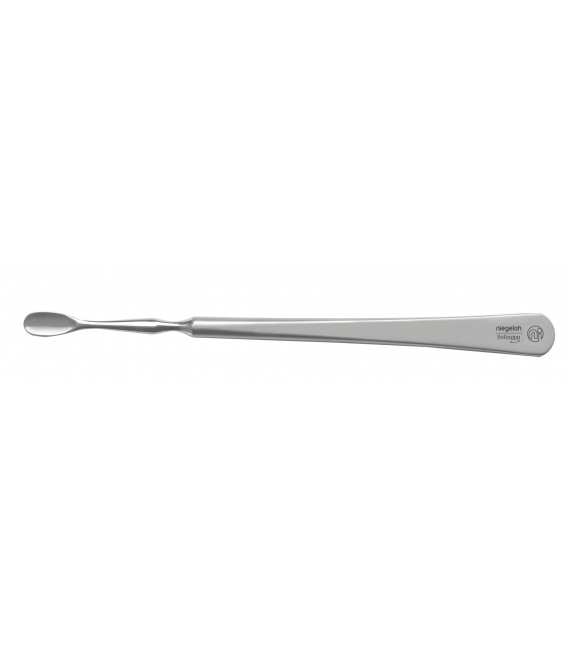 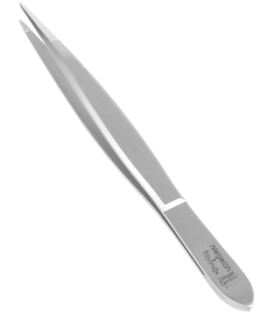 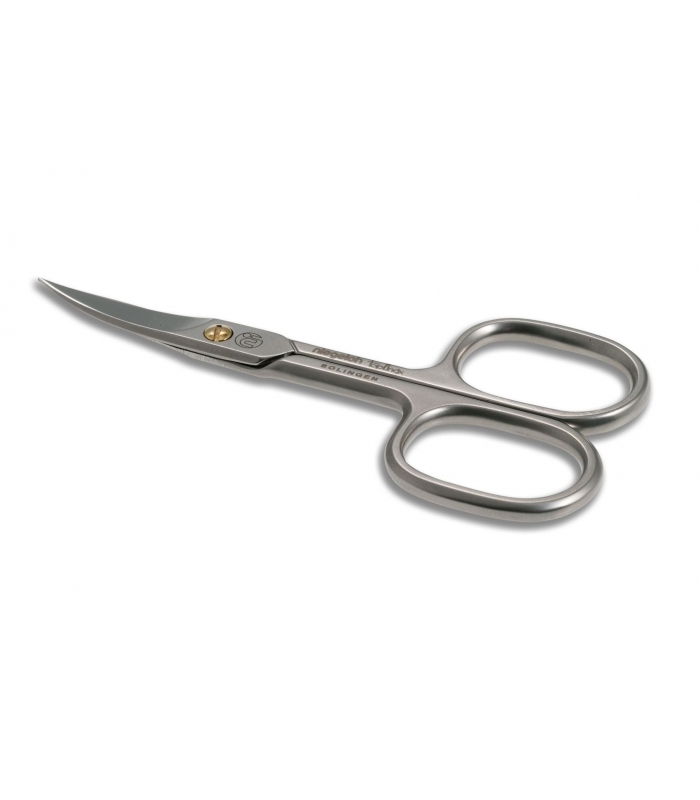 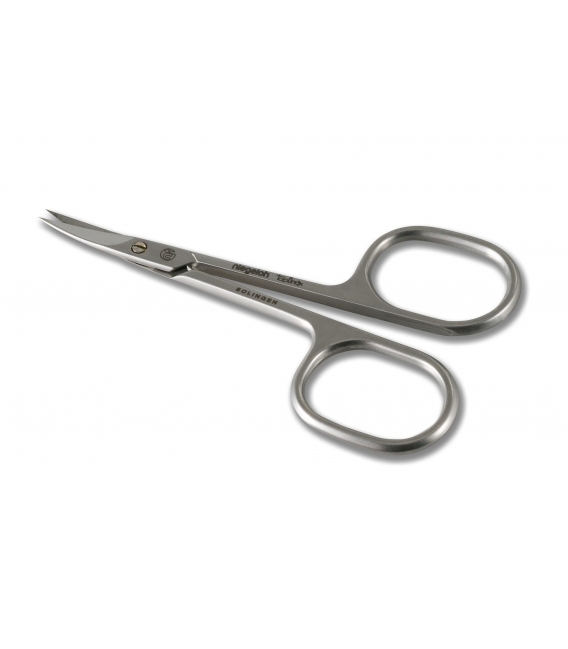 Manicure set Havanna, tabac X, 5pcs. 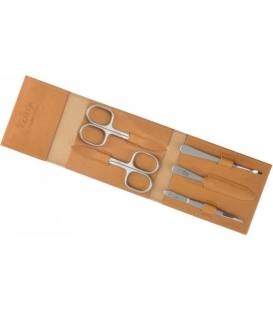 Manicure pedicure set Havanna, tabac, 7pcs. 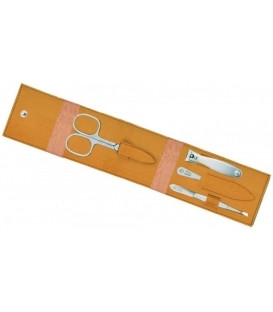 Manicure set Havanna, caramel, 4pcs. 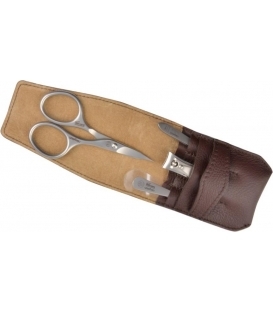 Manicure set Havanna, caramel X, 5pcs.